Hadoop is an open source software used for distributed computing that can be used to query a large set of data and get the results faster using reliable and scalable architecture. This is the first article in our new ongoing Hadoop series. In a traditional non distributed architecture, you’ll have data stored in one server and any client program will access this central data server to retrieve the data. The non distributed model has few fundamental issues. In this model, you’ll mostly scale vertically by adding more CPU, adding more storage, etc. This architecture is also not reliable, as if the main server fails, you have to go back to the backup to restore the data. From performance point of view, this architecture will not provide the results faster when you are running a query against a huge data set. Each and every server offers local computation and storage. i.e When you run a query against a large data set, every server in this distributed architecture will be executing the query on its local machine against the local data set. Finally, the resultset from all this local servers are consolidated. In simple terms, instead of running a query on a single server, the query is split across multiple servers, and the results are consolidated. This means that the results of a query on a larger dataset are returned faster. You don’t need a powerful server. Just use several less expensive commodity servers as hadoop individual nodes. High fault-tolerance. If any of the nodes fails in the hadoop environment, it will still return the dataset properly, as hadoop takes care of replicating and distributing the data efficiently across the multiple nodes. A simple hadoop implementation can use just two servers. But you can scale up to several thousands of servers without any additional effort. Hadoop is written in Java. So, it can run on any platform. Originally Google started using the distributed computing model based on GFS (Google Filesystem) and MapReduce. Later Nutch (open source web search software) was rewritten using MapReduce. Hadoop was branced out of Nutch as a separate project. Now Hadoop is a top-level Apache project that has gained tremendous momentum and popularity in recent years. HDFS stands for Hadoop Distributed File System, which is the storage system used by Hadoop. The following is a high-level architecture that explains how HDFS works. In the above diagram, there is one NameNode, and multiple DataNodes (servers). b1, b2, indicates data blocks. When you dump a file (or data) into the HDFS, it stores them in blocks on the various nodes in the hadoop cluster. HDFS creates several replication of the data blocks and distributes them accordingly in the cluster in way that will be reliable and can be retrieved faster. A typical HDFS block size is 128MB. Each and every data block is replicated to multiple nodes across the cluster. Hadoop will internally make sure that any node failure will never results in a data loss. In this model, the library handles lot of messy details that programmers doesn’t need to worry about. For example, the library takes care of parallelization, fault tolerance, data distribution, load balancing, etc. This splits the tasks and executes on the various nodes parallely, thus speeding up the computation and retriving required data from a huge dataset in a fast manner. JobTracker keeps track of all the MapReduces jobs that are running on various nodes. This schedules the jobs, keeps track of all the map and reduce jobs running across the nodes. If any one of those jobs fails, it reallocates the job to another node, etc. In simple terms, JobTracker is responsible for making sure that the query on a huge dataset runs successfully and the data is returned to the client in a reliable manner. TaskTracker performs the map and reduce tasks that are assigned by the JobTracker. TaskTracker also constantly sends a hearbeat message to JobTracker, which helps JobTracker to decide whether to delegate a new task to this particular node or not. We’ve only scratched the surface of the Hadoop. This is just the first article in our ongoing series on Hadoop. In the future articles of this series, we’ll explain how to install and configure Hadoop environment, and how to write MapReduce programs to retrieve the data from the cluster, and how to effectively maintain a Hadoop infrastructure. Excelent article. I`m a begin a project with Hadoop and need some references and books.Thanks you. Yes, thanks very much Ramesh. I have just started researching Hadoop and may be working on a project at some point with it. Thanks also for all the good work you do explaining so many things to more people than you might imagine. And best wishes in this new year, sir. Ramesh, Thanks much for creating this article on your site. Happy to see the next part. Very good intro, Ramesh. Waiting for the part 2 of the series. I’ve constructed a cluster mail system with postfix in 2005. the cluster was built with a frontal sever which redirects requests to several small servers over LVS ( Linux virtual server) and NFS. I’ve never heard before about hadoop. I would like to try hadoop in my application ! Thank you Ramesh, I still find new interesting things in your blog. Excellent article, concepts explained are very easy to follow. In the HDFS architecture, if the name node fails, is there a possibility to retrieve the data ? This is a very good notes for Hadoop beginers , please post the next steps like how to install and configure Hadoop environment, and how to write MapReduce programs to retrieve the data from the cluster, and how to effectively maintain a Hadoop infrastructure. I studied about mapreduce and now, I’m working on integrity issues of mapreduce, but my information about ” how to install and configure Hadoop environment, and how to write MapReduce programs ” is not enough. would you help me? 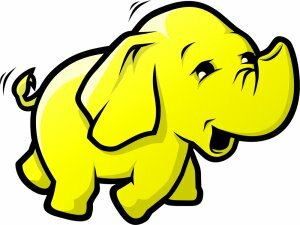 Thank you for putting the Hadoop introduction in simple words, Expecting the next part of Hadoop , installation , environment setup , programing asap. One of the best explanation of HDFS and Hadoop. Thank you! I waite for your new article. One of the best articles on Hadoop..Very helpful for beginners…Thankyou.. This is the best into about hadoop….i have just started learning hadoop . As i have some experience in ETL work , will it help me in learning hadoop. Thanks a lot for the article, it is easy to understand. Nice article to know he overview of the Hadoop HDFS and MapReduce. Thanks for such simple and clear overview. It is very very useful for the beginner like me. I appreciate about your knowledge on Hadoop. Thank you. Thanks Ramesh, very useful article for introduction. Very good article Ramesh, explained the architecture in very simple and detailed way. Wanted to read further articles posted by you on Big Data but had no luck in the search. Will it be possible to create a category for Big Data and place all the blogs under that category for easy access. Many thanks once again for sharing the information.